More than 4,000 years ago in Egypt, dozens of men who died of terrible wounds were mummified and entombed together in the cliffs near Luxor. Mass burials were exceptionally rare in ancient Egypt — so why did all these mummies end up in the same place? 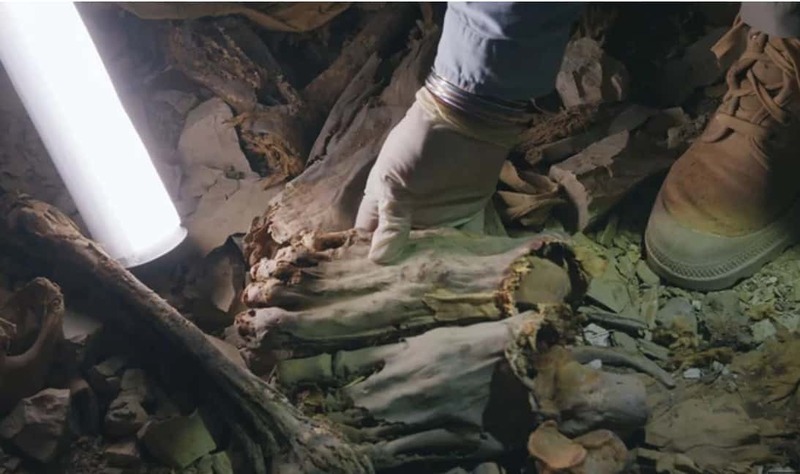 Recently, archaeologists visited the mysterious Tomb of the Warriors in Deir el Bahari, Egypt; the tomb had been sealed after its discovery in 1923. After analyzing evidence from the tomb and other sites in Egypt, they pieced together the story of a desperate and bloody chapter in Egypt’s history at the close of the Old Kingdom, around 2150 B.C. Their findings, presented in the PBS documentary “Secrets of the Dead: Egypt’s Darkest Hour,” paint a grim picture of civil unrest that sparked bloody battles between regional governors about 4,200 years ago. One of those skirmishes may have ended the lives of 60 men whose bodies were mummified in the mass burial, PBS representatives said in a statement. Next articleWho Was Peter Herkos?